Public Speaking Contest - BUILD, Inc. 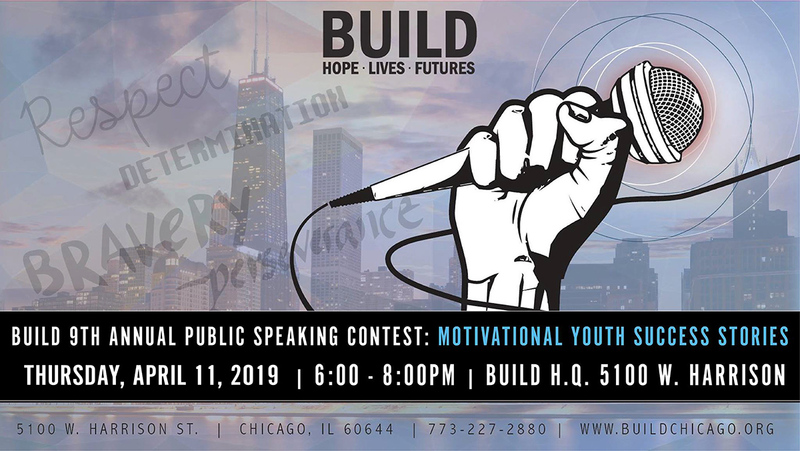 The public speaking contest is one of BUILD’s signature programs that encourage young people to put their stories down in print and then share them on stage before an audience and panel of judges. BUILD provides youth with public speaking classes over a two-month period to help them academically and professionally, as well as to boost their self-esteem and self-confidence as they prepare for this unique event. Youth practiced and met on Saturday afternoons to refine their speeches before having the opportunity to participate. The winners of this contest will receive $1000, $500 and $250 in college scholarship funds provided by BUILD and will also have an opportunity to share their success stories at BUILD’s 50th Gala Celebration on May 3.